The C4ISRNET Cyber award, which was presented to a member of the U.S. Cyber Command. At the 17th annual C4ISRNET conference, C4ISRNET awards were presented to honor defense community leaders in technological and capability development within four distinct categories: Cyber, GEOINT, Software Management, and Unmanned. 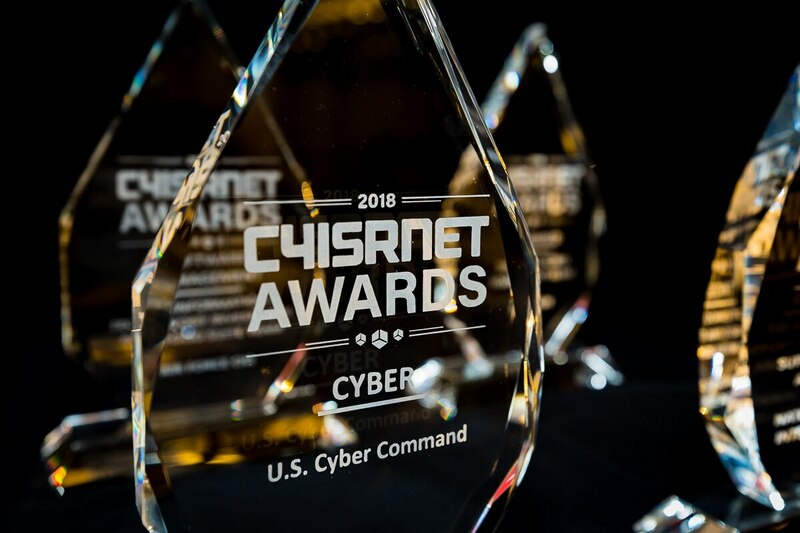 The C4ISRNET Cyber award was presented to U.S. Cyber Command. While we can’t share more information, according to the nomination, the winner led an effort to provide Cyber Command with critical response options. He also directed a joint team of code developers and cyber operators. His work led to Cyber Command receiving capabilities ahead of schedule, giving the United States flexible cyber response options during heightened international tensions. The unmanned award was presented at the 17th annual C4ISRNET conference held in Arlington, Virginia. The GEOINT award was presented at the 17th annual C4ISRNET conference held in Arlington, VA. The software management award was presented at the 17th annual C4ISRNET conference held in Arlington, Virginia.